Dunkeld Bowling Club, 15 Hume Road, Dunkeld West, Sandton. 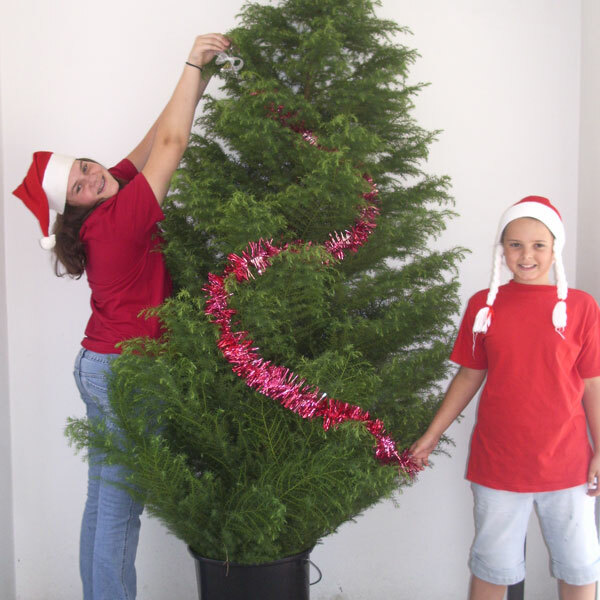 Make Christmas extra special this year with a real Christmas tree! 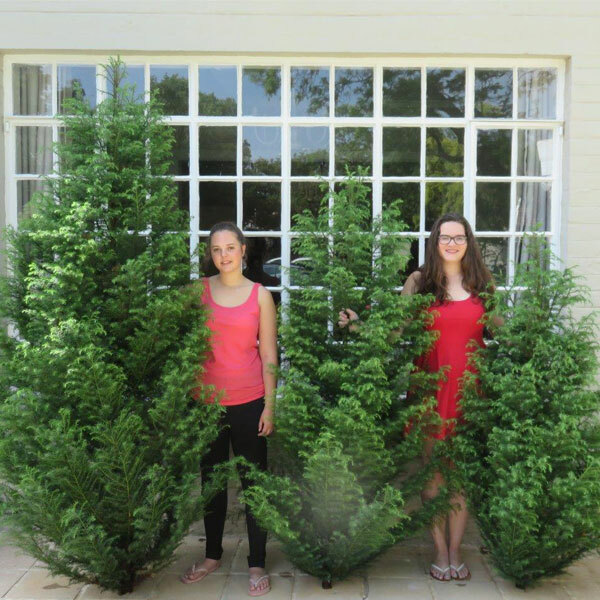 We do sell stands to help hold the trees in place. 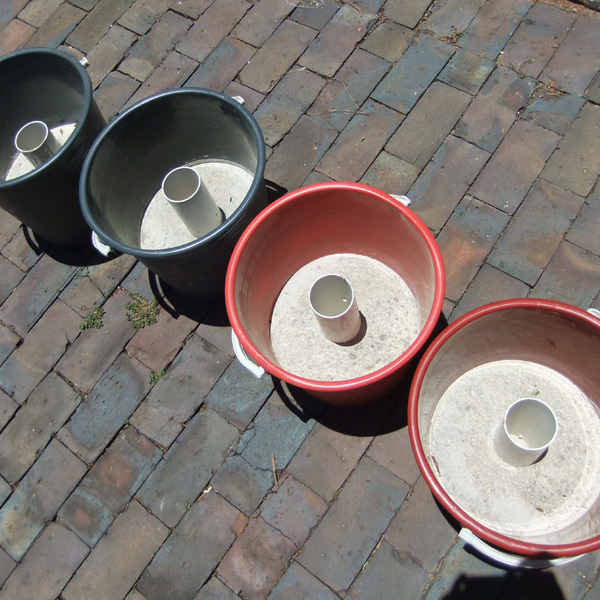 These are buckets with a cement base. * Fill the stand with water. The water level must be higher than the white pipe. * Enjoy the smell of a fresh tree in your home. This is a small family run business that is open for only one week a year. This is a side line business, so please bear with us and read these frequently asked questions before calling. It has become increasingly difficult to answer phone calls while at my real job. How long will the tree last for? The trees will last for 2 to 3 weeks if well cared for. How will I get the tree home, will it fit in my car? Yes, we have been doing this for many years and are able to fit large trees into small cars.  We will assist you loading the tree into your car. Afraid we are not able to deliver trees. Can I tie the tree to the top of my car? This is not advisable. The movement of the car and the sun will dry out the tree. If you do this please make sure to spray the tree with a hose pipe in your garden to hydrate it before you decorate it. 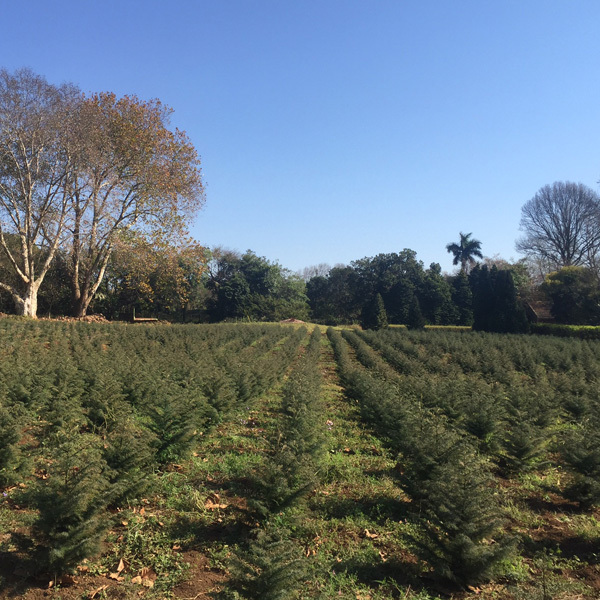 The trees are grown in plantations by my cousin specifically to be Christmas trees. The trees are then cut at the base, so no they are sadly not able to grow, but the plantation is replanted. It is just a branch? It is a whole tree – without the roots. Can I order a tree? We are unfortunately no longer able to manage orders due to the limited space at our new venue.All trees will be on a first come first serve basis. Can I pay in advance for my tree? All sales are cash on collection. With students managing the sales we are simply not able to manage and control pre-payments. Where can I get a tree with roots? If you want a tree that is growing in a container you will need to go to a nursery. In our experience trees do not like having their roots confined in a container, so they take that much longer to get big and bushy. As a result the cost is that much more. Can you pay via credit card? Yes, we do accept credit cards. Where do we get the trees from? 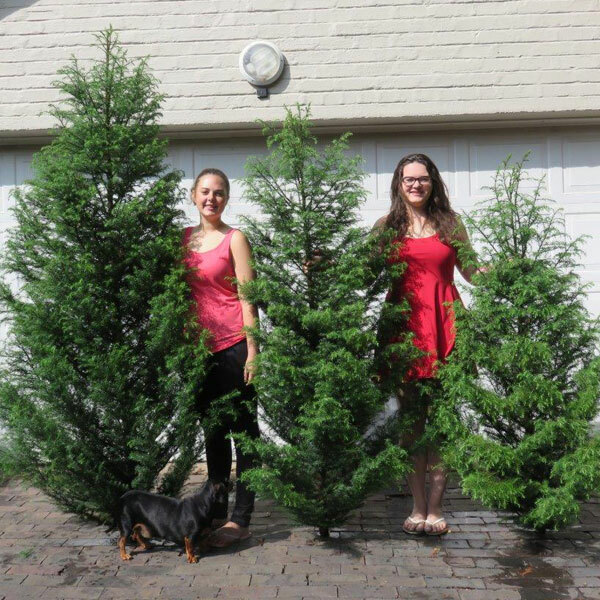 The trees are grown in KZN. Can I get a tree before the 13th December? It is unfortunately not viable to transport a few trees up early, given the distance involved and the cost of the transport. We purposely only get the trees on the 14th December to make sure they last past Christmas. What happens where the trees are sold out? Afraid when the trees are sold out, they are sold out. 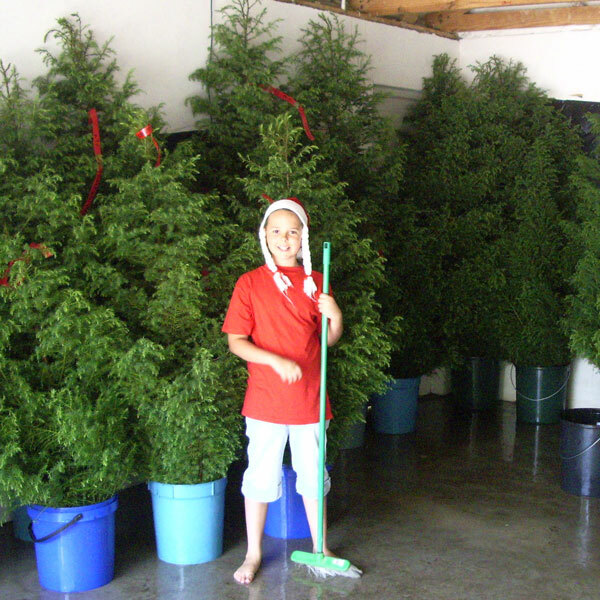 We are not aware of anyone else who sells Christmas trees the way we do. The ends of the tree branches are drooping down? These are Japanese Cedar trees and the branches do naturally droop down. Can we still get a tree from 16 Cambridge Avenue? While we have been selling from our home in Craighall for many year, we recently moved to my partner’s home. Please do not disturb my tenants at 16 Cambridge Avenue as they are not involved in the Christmas Tree business at all. Copyright © 2017 Real Christmas Trees.